Once you have installed the theme, your next step is to set up your homepage. The homepage with a slider you see on the demo uses a plugin called LayerSlider, which can be purchased from CodeCanyon. Note: LayerSlider is not included when you purchase Franklin. It requires a separate purchase. Log into your WordPress dashboard. Click on LayerSlider WP. To save time, you can use our demo slider as a placeholder while you get your site ready. Click on the Import sample sliders button at the top of the screen. In the Import & Export Sliders box, select the Layer Slider sample.json file, which you will find in the Franklin package you downloaded inside the content folder. After selecting it, click Import. 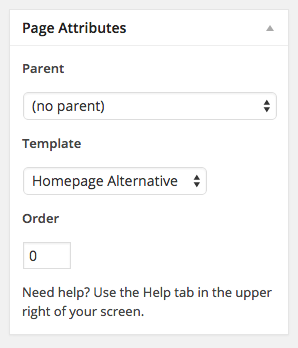 Template, select “Homepage Alternative”. Click Publish. campaign categories. Underneath these options, you can select a slider to use on your page. Franklin is a premium crowdfunding theme for WordPress. Created with a mobile first approach, it is 100% responsive and features crisp retina graphics. Note: When pasting this into your page content, be sure to switch to the Text view of the WordPress editor.